A creation of Otto Drögsler and Jörg Ehrlich, ODEEH is the result of a passion for perfection. From the first hand-drawn sketches through production, the collection is created at the hands of specialists. With an anti-industrial conscience, the brand’s sophisticated idealism is played through every channel of the process. And with this deep soul, comes an uplifting – perhaps surprisingly – lighthearted aesthetic: think explosive colors and graphic prints with a retro vibe that contrast modern silhouettes and airy drapes. Impeccable dressing has never felt so fun. 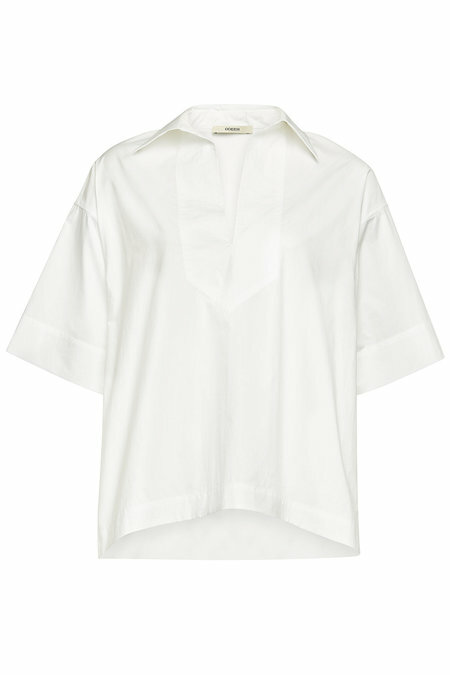 In pristine white with just enough volume, this lightweight cotton blouse is a versatile layer from ODEEH. The sharp V-neckline will show a hint of skin while the simple lines lend a casual air we love. In a muted shade of olive green with a straight leg, these cotton pants are a versatile pair from ODEEH. With a comfortable elasticated waist and minimal branding, they have plenty of styling potential for casual and off-duty. 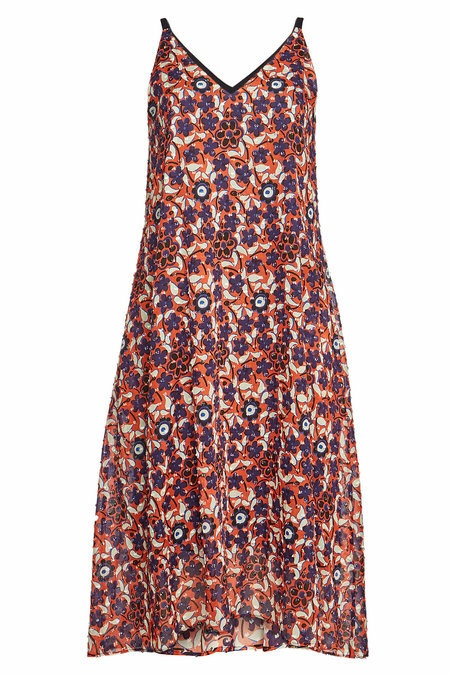 In coral with contrast floral motifs, this sleeveless cotton dress is an elevating choice from ODEEH. 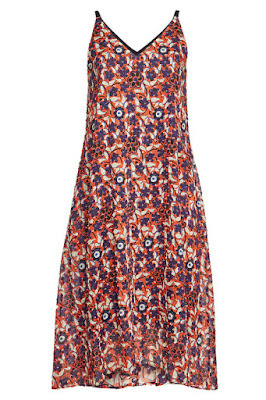 The simple lines lend a casual air we love while the modest midi length is easy to style. In a muted shade of olive green with a pointed collar and long sleeves, this cotton dress from ODEEH is perfect for warmer months. 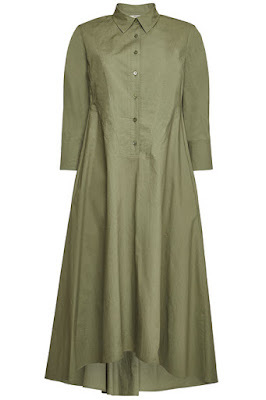 The simple lines lend a casual air we love while the modest midi length is easy to style. 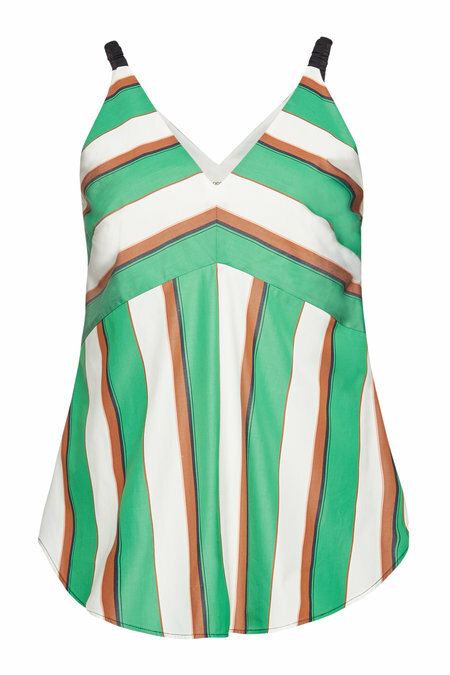 In bright green with contrast stripes, this cotton top is a chic yet versatile layer from ODEEH. From the sharp V-neckline to the sleeveless silhouette - make it a go-to with distressed denim or smart tailoring - it's all in the fashion mix. 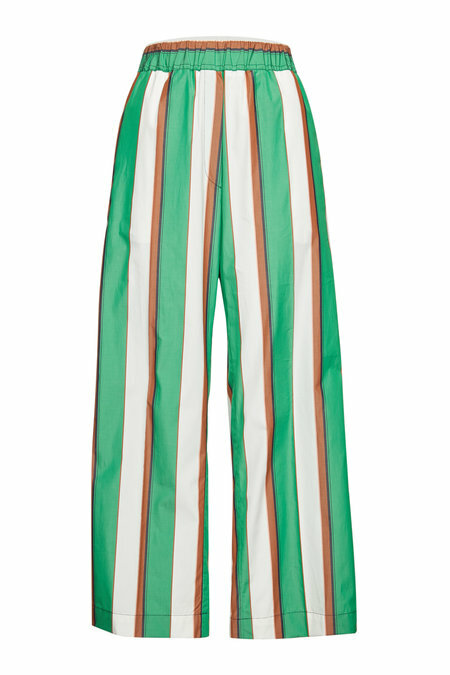 In contrast stripes with a straight leg, these cotton pants are a chic statement from ODEEH. 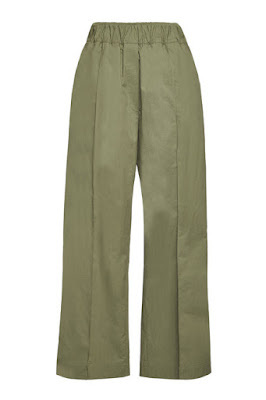 With a comfortable elasticated waist and minimal branding, they have plenty of styling potential for casual and off-duty. 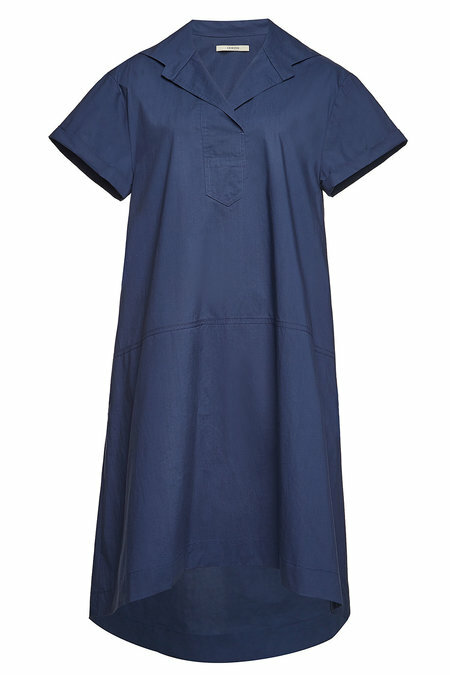 In a navy shade of blue with a sharp V-neckline, this cotton midi dress from ODEEH is as versatile as it is comfortable. The streamlined silhouette is effortless to style while the high-low hem makes it contemporary. 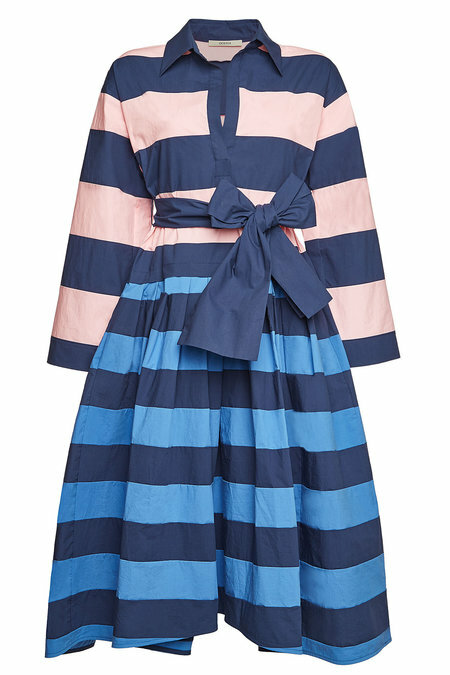 In navy blue and light pink with a pointed collar, this dress from ODEEH is a ladylike choice with a streamlined A-line skirt and a flattering over-knee length. Styling? 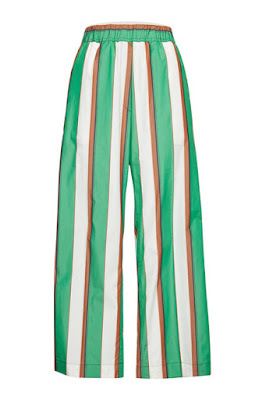 Pair with a leather clutch and heels for daytime finesse.